Hello, I am the Other. Nina. I should be contributing new art and doodles now and then, but I predict that there will mostly be a tidal influx of posts about Game of Thrones season 6 with a lot of ‘!!!!!!!!!!!! !’ next year. Look forward to it, I know I will. I hope everyone enjoy there work or spare some time to enjoy what you love. Today is unique talent day! My unique talent is sketching out of the ordinary and I also do this as a living as well! While I was waiting for the computer to do it things aka rendering in Photoshop! So to kill time I decided to draw random female character poses and then I need clothes on her. So today’s fashion is inspired by Victoria Secrets 2015 Fashion Show. Amazing costume for this year fashion shoot! I like how butterfly is scattered around the model body! Back to my drawing! I got hungry and decided to draw a hungry person thinking of food in a post it note! After coming home from work I decided to colour the butterfly wearing girl to green and yellow now she sort of look like poison ivy from batman. Ahh it’s amazing how different you idea becomes over time! In other news Facebook is developing a script to block your ex’s news feed, remove images and any connection after breaking up with them. This app will help you move on with your life which is a brilliant idea! So much cleaner and less emotional to move on! Hope everyone’s had a great cuppa today! Today’s interesting news is on how much Facebook knows about us! Like can Facebook predict you getting pregnant in year 2016? From a radio source they say Facebook is targeting people that are born in 1986 and 1987 and people with popular /common names eg( Sarah ). On how much technology is studying you while you are reading this post!!!!! In the next few day this site will contain amazing artwork and valuable information relating to art or random rants on video games. I’m hoping this site will stay active and inspirational to our followers. I don’t have any random doodle to share but I’m currently playing Legend of Zelda: Triforce Heroes! 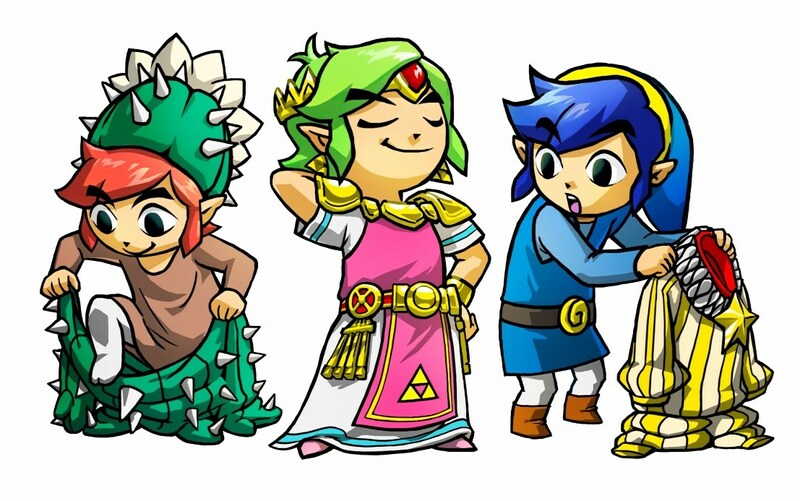 The game is ….well a very fashionable game play and way off the traditional Zelda adventure! I’m still playing the game so can’t give overall feedback. All I have to say is where is Zelda?